For as long as she can remember, Sarah's family life has revolved around her twin sister, Annie-the pretty one, the social one, the girl who can do anything. The person everyone seems to wish Sarah-with her crippling shyness-could simply become. When Annie suddenly chops off her hair, quits beauty pageants, and gains weight, the focus changes-Annie is still the star of the family, but for all the wrong reasons. 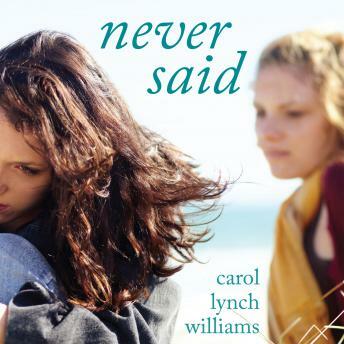 Sarah knows something has happened, but she too is caught in her own spiral after her boyfriend breaks up with her and starts hanging out with one of Annie's old friends. Annie is intent on keeping her painful secret safe. But when she and Sarah start spending time together again for the first time in years, walls start to break on both sides . . . and words that had been left unsaid could change everything.